Anyone have rajah x veitchii? Thread: Anyone have rajah x veitchii? 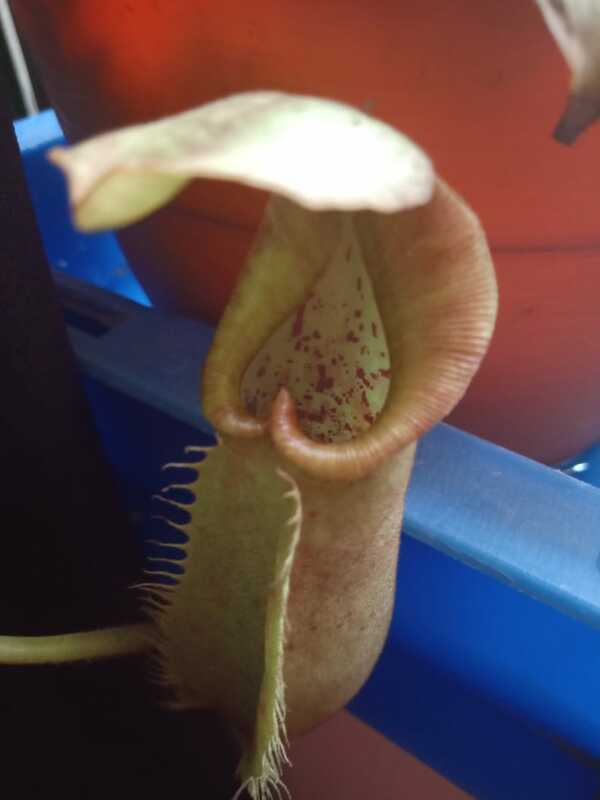 I saw this nepenthes for sale on California Carnivores. It seems pricy for me, but I think it sounds really cool. Has anyone got one, and if so, how are yours doing? I have one, but I'm not sure it is a rajah x veitchii. It has just started forming adult-ish pitchers, and I swear it looks more like robcantleyi x veitchii or something. 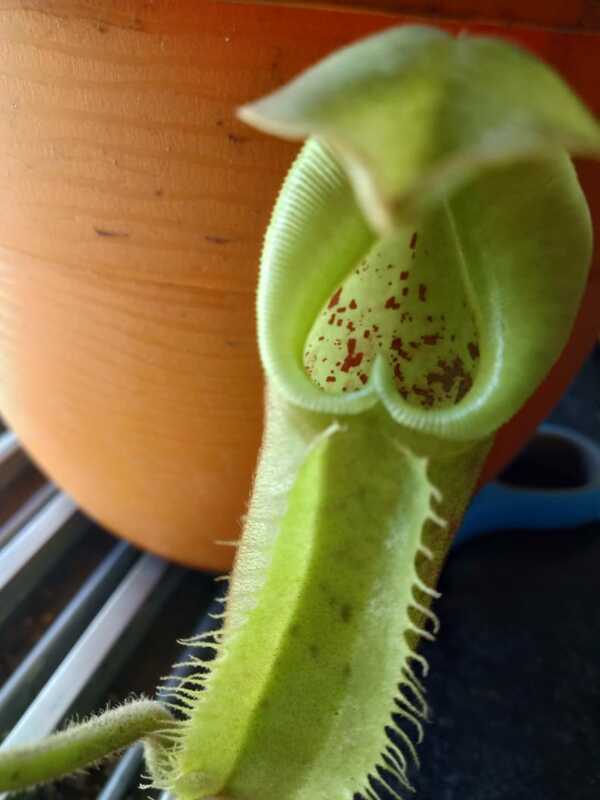 Things should be more clear in a few weeks, since I also have two robcantleyi x veitchii that should soon be forming pitchers and I will be able to compare. Or the rajah x veitchii will form another pitcher that looks more like the pictures I see online. But if what I have is a rajah x veitchii, it is a very easy grower - and I'm in pretty lowland conditions. Insists on humidity though. Last edited by Vidyut; 03-27-2019 at 12:08 PM. Balcony farmer, carnivorous plants, DIY, sustainability, socio-political commentary India. The color seems to have more rajah in it now, so who knows, maybe it is a rajah x veitchii after all. At least that is what I purchased it as. If it is, it is a very easy grower but won't pitcher in dry weather (humidity got 20% in the winter this time, and it was away from the misters). Good news is it immediately started inflating a pitcher once it rose to 40% or so. Without any fuss. Happily taken summer temperatures here - daytime can go up to 38C or daily in the summer here. Can't comment on cold, because what passes for cold in our climate is called "cool daytime temps" by most growers in US/Europe. Maybe a month or two with nights going below 20C. Slows a bit in peak summer, but that is about it. Definitely not come close to dying at any point. I think it would prefer more cool and humid conditions than I give it and would probably grow forever after and not look back at all. I see no rajah in that plant, sorry to say. N. robcantleyi possibly, sure, but a rajah hybrid will have a very long mouth, narrower scalloped peristome, and be extremely tubby, not as elongate as that. Last edited by Zahl; 04-07-2019 at 12:32 PM.